Bretton Woods collapsed in 1971 when Nixon severed (known as the Nixon Shock because the decision was made without consulting the other signatories of Bretton Woods, even his own State Department wasn’t consulted or forewarned) the link between the dollar and gold – the US dollar was now a fully floating fiat currency and the government had no problem printing more money. With gold finally demonetized the US Federal Reserve (Fed) and the world’s central banks were now free from having to defend their gold reserves and a fixed dollar price of gold. The Fed could finally concentrate on achieving its mandate - full employment with stable prices - by employing targeted levels of inflation. The Fed’s ‘Great Experiment’ had begun – the objective being a leveling out of the business cycle by keeping the economy in a state of permanent boom - gold's "chains of fiscal discipline" had been removed. But there was a problem - because of the massive printing of the US dollar to cover war and welfare reform costs Nixon worried about the strength of his country’s currency – how do you keep the U.S. dollar as the world’s reserve currency, how do you keep demand strong, if one you remove gold’s backing and two print it into oblivion? Recognizing that the US, and the rest of the world, was going to need and use more oil, a lot more oil, and that Saudi Arabia wanted to sell the world’s largest economy (by far the US) more oil, Nixon and Saudi Arabia came to an agreement in 1973 whereby Saudi oil could only be purchased in US dollars. In exchange for Saudi Arabia's willingness to denominate their oil sales exclusively in U.S. dollars, the United States offered weapons and protection of their oil fields from neighboring nations. Nixon also abolished the International Monetary Fund’s (IMF) international capital constraints on American domestic banks. This allowed Saudi Arabia and other Arab producers to recycle their petrodollars into New York banks. Global oil sales in U.S. dollars caused an immediate and strong global demand for US dollars – the ‘Petrodollar’ was born. By 1975 all OPEC members had agreed to sell their oil only in US dollars in exchange for weapons and military protection. As developed economies grew and prospered, as developing economies took center stage with their massive urbanization and infrastructure development plans their need for oil grew, and so too did the need for new U.S. dollars, as demand grew the currency strengthened. The U.S. Dollar quickly became the currency for global trades in almost every commodity and most consumer goods, it wasn’t used just for oil purchases anymore. Countries all over the world bought, had to buy, more and more dollars to have a reserve of currency with which to buy oil and ‘things.’ Countries began storing their excess US dollar capacity in US Treasury Bonds, giving the US a massive amount of credit from which they could draw. There’s no disputing the U.S. greenback is the world's currency - the dollar is the currency of denomination of half of all international debt securities and makes up 60 percent of countries foreign reserves. Currently the only source of backing for the U.S. dollar is the fact that oil is priced in only U.S. dollars and the world must use the Petrodollar to make their nation’s oil purchases or face the weight of the U.S. military and economic sanctions. Many countries also use their Petrodollar surplus for international trade - most international trade is conducted in U.S. dollars. It’s very obvious that the United States economy, and the global economy, are both intimately tied to the dollar's dual role as the world’s reserve currency and as the Petrodollar. “Trade between nations has become a cycle in which the U.S. produces dollars and the rest of the world produces things that dollars can buy; most notably oil. Nations no longer trade to capture comparative advantage but to capture needed dollar reserves in order to sustain the exchange value of their domestic currencies or to buy oil. In order to prevent speculative attacks on their currencies, those nations’ central banks must acquire and hold dollar reserves in amounts corresponding to their own currencies in circulation. This creates a built-in support for a strong dollar that in turn forces the world’s central banks to acquire and hold even more dollar reserves, making the dollar stronger still.” Harvey Gold, Iran’s Threat to the U.S. – Nuclear or the Demise of the Petrodollar? It’s also very obvious that if global Petrodollar demand were ever to crumble the use of the U.S. dollar as the world’s reserve currency would abruptly end. Energy costs would rise substantially. American’s, because their dollar is the world’s reserve currency and they control it, have been buying oil and gasoline for a fraction of what the rest of the world pays. There would be substantially less demand for dollars and U.S. government debt. All nations that buy oil and hold U.S. dollars in their reserves would have to replace them with whatever currency oil is going to be priced in - the resulting sell-off would weaken the U.S. currency dramatically. Interest rates will rise. 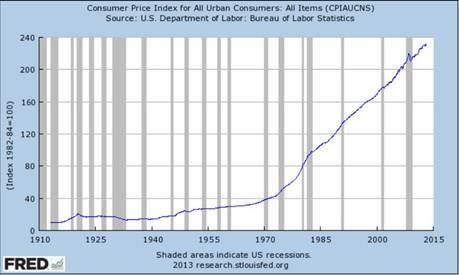 The Federal Reserve would have to increase interest rates to reduce the dollar supply. Foreign funds would literally run from U.S. stock markets and all dollar denominated assets. 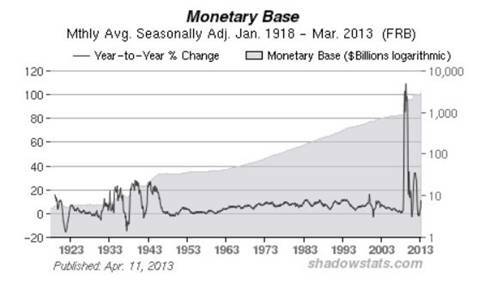 There would be a 1930s like bank run. Dollar exchange rate falls. The current-account trade deficit would become unserviceable. The U.S. budget deficit would go into default. This would create a severe global depression because the U.S. would not be able to pay its debts. Several countries have attempted to, or have already moved away from the petrodollar system – Iraq, Iran, Libya, Syria, Venezuela, and North Korea. Other nations are choosing to use their own currencies for inter country trade; China/Russia;China/Brazil;China/Australia;China/Japan;India/Japan;Iran/Russia; China/Chile; China/The United Arab Emirates (UAE);China/Africa Brazil/Russia/India/China/South Africa (the new BRICS are plus S.A.). Countries began storing their excess US dollar capacity in US Treasury Bonds, giving the US a massive amount of credit from which they could draw. But by keeping interest rates excessively low for so long a period of time, and with no relief in sight, the rate of return on U.S. interest bearing securities has been so low it’s not worth holding them to generate any kind of return for your U.S. foreign reserves, the very same reserves you want to hold to buy oil. The U.S. does not need its Arab Petrodollar partners as much since the invasion of Iraq with its immense oil resources (second largest in the world) and discovery of how to obtain oil from unconventional sources – shale oil, oil sands etc. Saudi Arabia and other OPEC countries in the region might be less needy for U.S. protection now that Iraq has been neutralized and Iran is in the crosshairs. Russia is the number one oil exporter, China is the number two consumer of oil and imports more oil from the Saudis then the U.S. does. Chinese and Russian trade is currently around US$80 billion per year. China has agreed to lend the world’s largest oil company, Russia’s Rosneft, two billion dollars to be repaid in oil. U.S. federal debt is close to 17 trillion dollars and is 90 percent of GDP. The deficit is a horrendous 7 percent of GDP. Political infighting and bickering has made cooperation nearly impossible and effective measures just aren’t being taken. The Federal Reserve is increasing its reserves by over a trillion dollars a year, the Fed is out of tools, its measures are not working. The ‘recovery’ is false, jobs are scarce and 6.2 million Americans have dropped out of the workforce. Valéry Giscard d'Estaing referred to the benefits the United States has due its own currency being the international reserve currency as an "exorbitant privilege." There has lately been a lot of talk about the demise of the Petrodollar. Fortunately, or unfortunately (depends what side of the debate your on) there exists no viable alternative to the U.S. dollar, not today, not tomorrow, not for a very long time. The EU is a waste land, will the deeply flawed Euro even survive? Well what about China you ask? One of the preconditions of reserve currency status is relaxing capital controls so foreigners can reinvest their accumulated yuan back into a countries markets. China has strict capital controls in place. If they were to be relaxed to the level needed then market driven money flows, not China’s Communist leaders, would drive exchange and interest rates. Communist leaders would be facing the thing they fear the most – instability because they lose control over two of their main economic levers. China has well over US$3.2 trillion in its foreign reserves. They’ve accumulated this massive amount of money over the years by maintaining the yaun’s semi fixed peg to the dollar. Think about it; the euro-crisis makes the US dollar the preferred safe-haven, this lowers US borrowing costs. This in turn means China has to continue to lend to the US in order to hold-up the value of its current reserves, pushing down US borrowing costs. A massive shift as many envision – China out of the U.S. dollar - would destroy the dollar and cause the instability the Communist Party fears so much. Why would China deliberately destroy its own wealth and why would Chinese communist leaders set themselves up for discord among its citizens? U.S. assets are free from default risk, free from political risk, the U.S. has never imposed capital controls and has only frozen funds once – Iran’s in 1978. Fact; the United States of America, and only the United States of America, controls the fate of the Petrodollar. Not communist China, not Russia or Saudi Arabia or the EU. The questionable ‘exorbitant’ privilege (the interest-free loans, U.S. Treasury purchases by foreign governments versus the loss of business competitiveness and all that entails) bestowed upon America for having the world’s reserve currency is going continue for the for-seeable future. This fact, and what it means to the U.S. and the world, should be on all our radar screens. Is it on yours? His articles have been published on over 400 websites, including: Wall Street Journal, Market Oracle, SafeHaven , USAToday, National Post, Stockhouse, Lewrockwell, Pinnacledigest, Uranium Miner, Beforeitsnews, SeekingAlpha, MontrealGazette, Casey Research, 24hgold, Vancouver Sun, CBSnews, SilverBearCafe, Infomine, Huffington Post, Mineweb, 321Gold, Kitco, Gold-Eagle, The Gold/Energy Reports, Calgary Herald, Resource Investor, Mining.com, Forbes, FNArena, Uraniumseek, Financial Sense, Goldseek, Dallasnews, Vantagewire, Resourceclips and the Association of Mining Analysts.